I’m at a loss here, hopefully you can help. I have french doors in dire need of some sun blocking and for the life of me, I cannot figure out what type of window treatment is going to give us the best result. My husband and I figure that it’s going to likely need to be blinds, so we can make adjustments throughout the day. Unfortunately we’re stumped as to what the best choice in blinds would be for french doors in a room with traditional accents? Please help! Well, Carol there is no need to be stumped. I can help you find the best window treatments for your french doors! Even though choosing window treatments can be overwhelming, it’s easier if we choose based on the most important duties we want those new window treatments to perform. In this case, it appears that your two biggest concerns are finding a window treatment with optimal light control and traditional styling. Because light control is a major factor here, and your goal is to make adjustments to the amount of light that is let in throughout the day, I would definitely recommend choosing a blind over a shade. This way you have the ability to tilt the louvers, as well as, lower and raise the entire blind itself. This will give you the ultimate amount of light control, over a shade that only raises or lowers. Next, because you mentioned needing a window treatment that went with traditional accents, I’d recommend a wood blind. Because of the size and material, wood blinds are much better suited for traditional styled rooms than vinyl or aluminum mini blinds. Yet you don’t lose any of the functionality. Because you said you were stumped I’d consider checking out Levolor French Door Blinds. I’m recommending the Levolor brand specifically because I think their traditional style valance will help blend these blinds into the rest of your decor. Other companies will also have traditional valances to help dress the blinds up, but Levolor also has a pretty good selection of wood types, stains and paints. 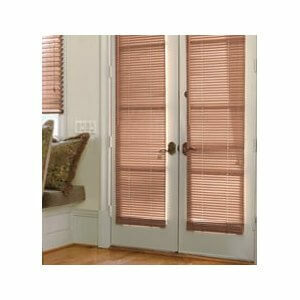 Since you are putting these blinds on your french doors you will want to consider the 1″ size wood blinds. 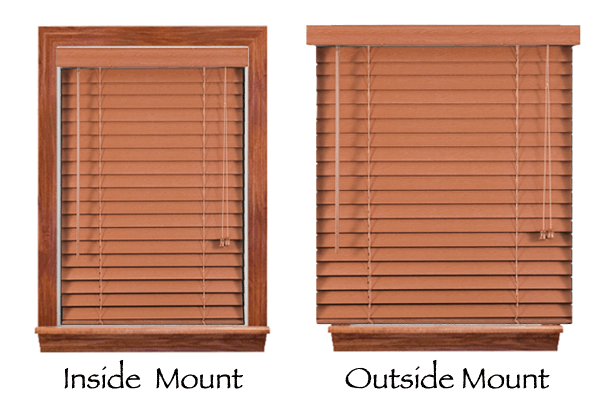 They are half the size of the larger 2″ wood blinds so they will won’t compete for space with your door handles. 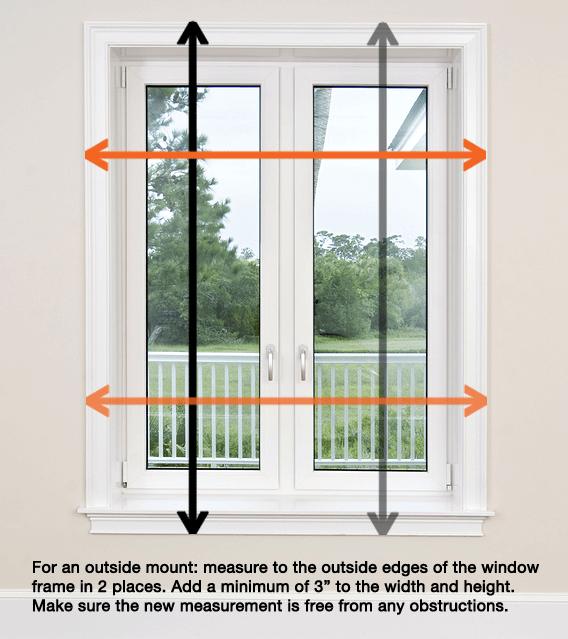 This a great time to mention that when you are measuring for your window treatments, make sure you are taking into account the depth of the blind and the amount of space you have to work with around the door handle area. Otherwise you could have a major issue. Another important feature for blinds on french doors is hold down brackets. These brackets are made to be screwed into your door at the bottom of the blind. They have little nubs that insert into the bottom rail of the blind and keep the shade from banging as the door is open and closed. While these brackets are made to keep the noise down as the door opens and closes, they are not recommended if you plan on raising and lowering the shade daily. Because they could break or bend with constant use. And if that happens you will either have to order replacement hold down brackets and hope the screw holes haven’t been stripped. Otherwise you’ll have to go without and fix the exposed screw holes in your door. These tips will help you choose the right blinds no matter brand you choose. As long as you remember what features are important to you and what type of blind will physically work in your space and you’ll be set. Start out by looking at 1″ wood Levolor French Door Blinds and go from there!